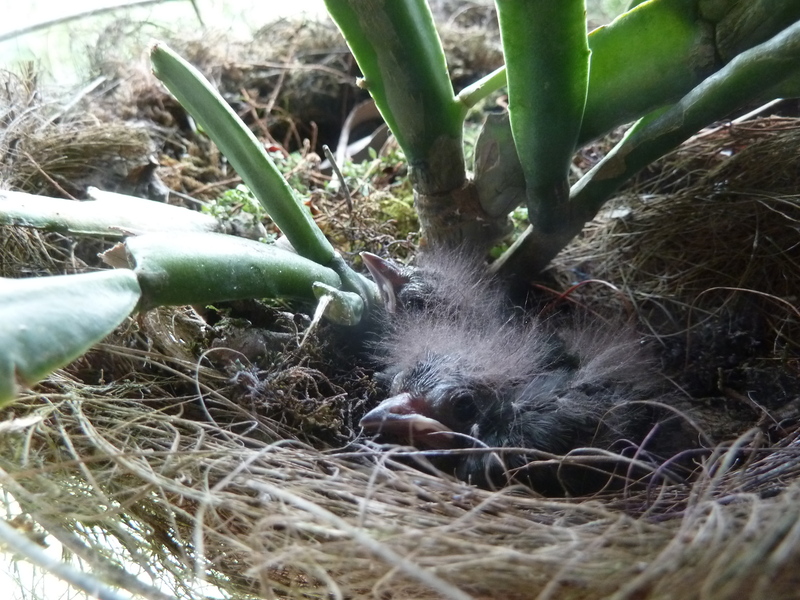 This will sound a little strange to North Americans: “Winter’s in the air and nests are everywhere“! 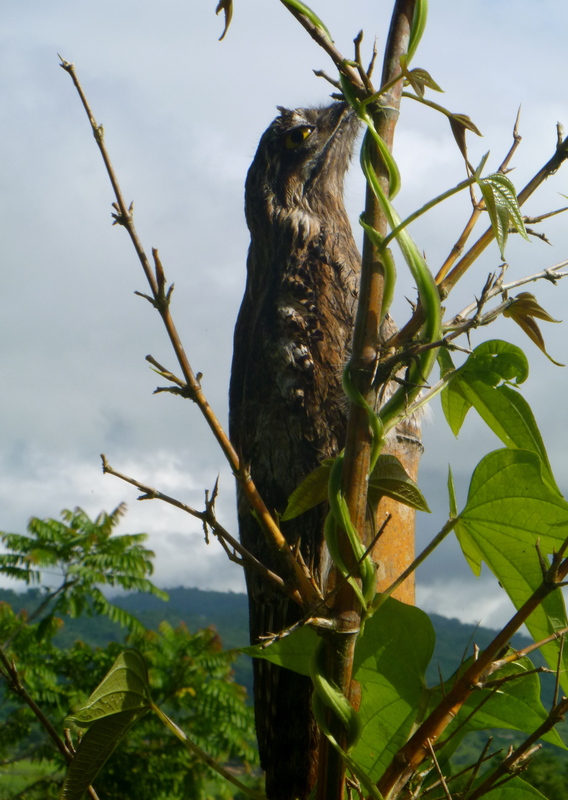 We are two months into our rainy season, aka tropical winter, and that puts us deep into the nesting season. When we stand still and watch, we find nests everywhere: under the eaves, high in the trees, low down in shrubs, under plant leaves, in tree trunk cavities and even on fence posts. Because the nesting season started back in April we see now, in early June, fledglings chasing their parents begging to be fed. In a short walk this morning, I counted at least six young birds pestering adults: Tropical Kingbird, Cherrie’s Tanager, Variable Seedeater, Bronzed Cowbird peeping at a surrogate parent Rufous-collared Sparrow, Lesser Elaenia and Silver-throated Tanager. By the time they get to this stage, you can almost see the parent birds swiping their foreheads with the side of their wings thinking: will these young birds EVER learn to feed themselves? A few days ago, an adult Blue-crowned Motmot led two young birds to our banana-papaya feeder and sat there alternatively stuffing pieces of fruit into the gaping bills of each of its offspring. This was, of course, a truly thrilling ‘National Geo’ moment with my camera nowhere nearby. Then, too, I recently caught a Fiery-billed Aracari peering into a large shrub outside our front door where a pair of Cherrie’s Tanagers are going for a second nesting. No doubt it was looking for food for its own young but it’s hard not to root for the littler guys. We are puzzling over what happened to two nestling Golden-hooded Tanagers that seemed ultra-secure in a hanging basket on our porch. The adults chose a safe-looking spot where the voracious local squirrels might overlook them, but they disappeared in mid-day while we had a little pool party with friends. They were 15 days old and didn’t seem big enough or strong enough to fledge. Maybe a snake wound its way up there or the squirrels managed to grapple up the beams after all. Predators and other dangers are everywhere here. 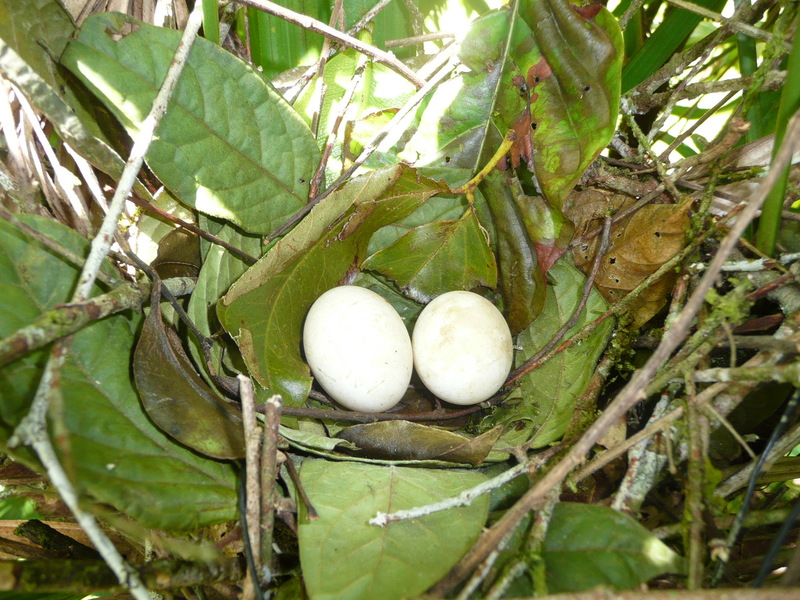 First-time nesters sometimes build flimsy nests without adequate protection from heavy rains that are subsequently washed away. Hummingbirds in the ‘hermit’ group build nests hanging from the underside of large maranta or heliconia leaves that can be toppled over in strong winds or unrelenting rain storms. Trees fall over regularly at this time of year and raptors, like the Swallow-tailed Kites that come from South America to breed here, are constantly on the hunt. This is to say nothing about the many opossums, raccoons, weasels and snakes that patrol at night. Or humans wielding weed-whackers, machetes and chainsaws. Because danger comes from all directions and at all times, birds must take counter-measures. 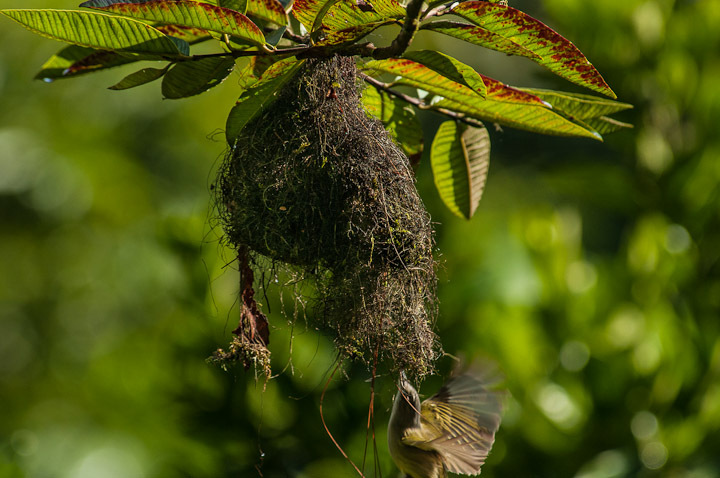 My favorite is the swaying flycatcher nest attached to a wispy branch in a tall tree with the entrance hole on the side or at the bottom. It is an absolute marvel and one wonders how that clever pendant, retort or ovoid-shaped blueprint got started. No predator weighing more than a few ounces could ever get inside. We found a beauty at Finca Cantaros several weeks ago, painstakingly constructed by a Yellow-olive Flycatcher. In the meantime: go outside! Look around! It’s amazing what you will see. 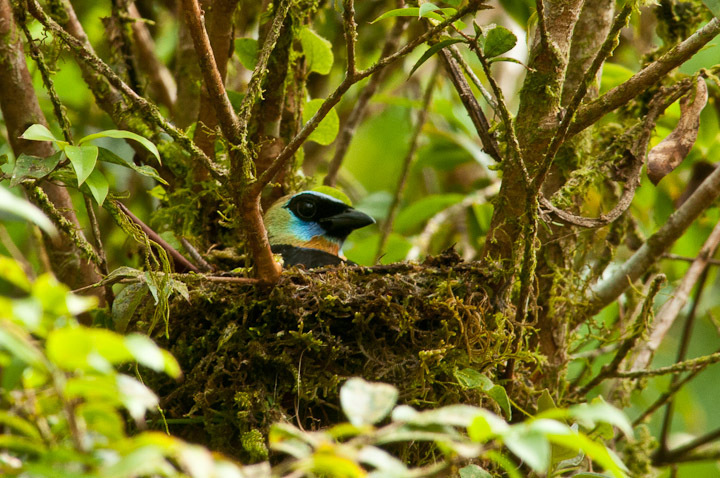 This entry was posted in Viewpoints and tagged bird nests, Golden-hooded Tanager, nest predators, nesting season, rainy season, Squirrel Cuckoo, Yellow-olive Flycatcher by AWOlivieri. Bookmark the permalink.